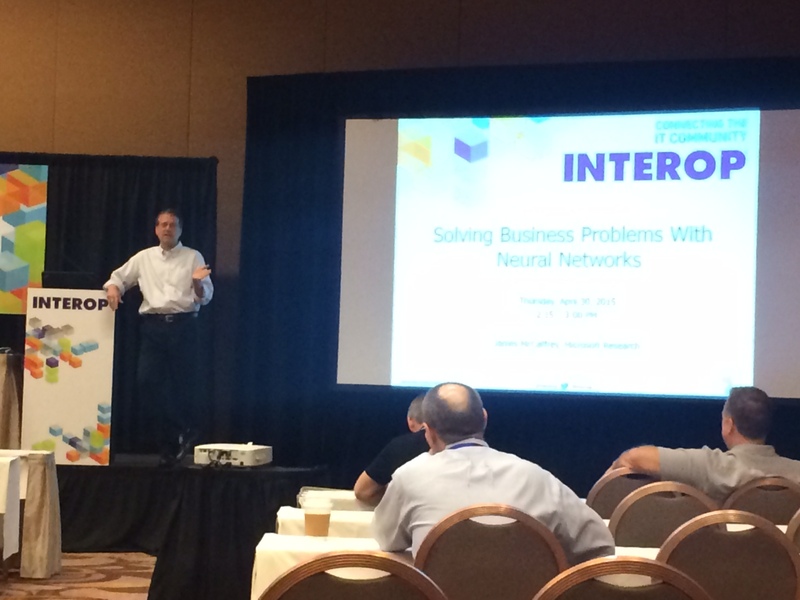 My talk was titled “Solving Business Problems with Neural Networks”. I described the three types of prediction problems neural networks can solve, explained how neural networks work so attendees can understand the vocabulary of the field, and compared four ways that an IT department can implement neural networks. The typical Interop attendee (at least based on the people I spoke to) was a fairly senior member of the IT staff of a large company. But with 10,000+ attendees, there were certainly all kinds of people there. 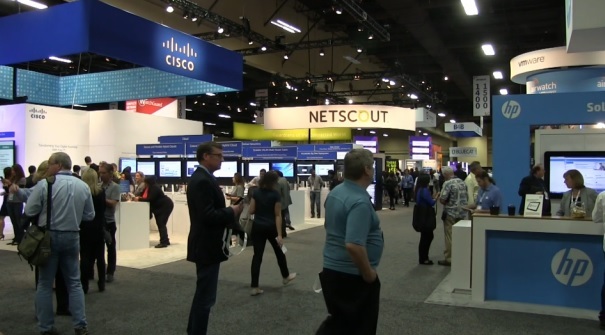 A major topic at Interop 2015, as it has been for the past few years, was SDN (software-defined networks). The idea is to allow network engineers to manage complex computer network, which are often made up of quite different hardware and software products from dozens or hundreds of different companies, through a software layer of abstraction that provides a consistent interface. OpenFlow is a set of protocols that is one form of SDN. Another topic that was featured at Interop 2015 was DevOps. DevOps is really a concept which means that, in an enterprise, software applications and systems should be developed in cooperation and harmony with the enterprise’s IT systems. To be honest, I see DevOps as simply placing a buzz word on common sense. I had a good time at the 2015 Interop — I learned a lot, believe I represented Microsoft (my company) well by delivering useful information to attendees, met interesting people, and got renewed enthusiasm for my work. 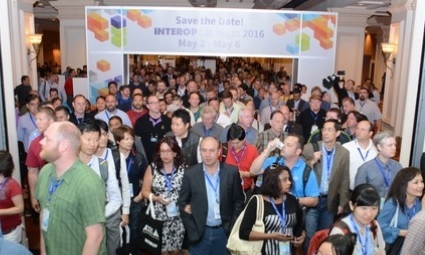 I highly recommend the Interop conference and hope to be there in 2016.